Dance Away was a very beautiful bright Chestnut racing horse. He was the great Secretariat's 6th son. He was a very good horse. He would beat the other horses by about 6 lengths. He had raced against Sham, Ruffian, Go For Wand,etc. He was very fast. His owners loved him so much. He started racing at about 2. He could go the distance to win and had the right speed and stamina. He raced until that fatal day. He was acting very strange that day. His walk and trot was off by a lot and his neck and back were making weird noises. His jockey and owners didn't want to race him but they had to because too many had already been scratched out of the race. The owners were scared yet anxious. His jockey walked him to the gate and he walked in and stood breathing heavily.The gates flung open and Dance Away didn't want to run but he had to.His sides were going way to fast and his legs began hurting.He slowed down and pulled to the side. Dance Away stood rearing up and his eyes big with fear.His jockey looked down at his legs and then knew. 2 of them were literally broken right into. His left front one and right back one. He stood for a second then collapsed to the ground and laid as his jockey quickly removed his saddle and bridle. He just laid. An ambulance came and he was loaded up and taken to a hospital. They treated his wounds and then put a bandage on them. After almost 2 years in care,he was able to walk again. He would never be able to race again though. His owners were ashamed at him and sold him to the slaughterhouse after getting a new 3 yr old Seattle Slew colt. Dance Away was put in a tiny tiny tiny corral and was hosed down then led into a tiny shoot were he stood as a man held something to his head. Dance Away suddenly collapsed and laid there looking around then closed his eyes slowly and then passed away. If you want to write fiction, you must label it as fiction. You mean well I think, to show the bad side of racing, but when people see one lie they expect it to all be lies. Learn from this criticism please! There is a record for a thoroughbred mare, 1977, named Dance Away. No offspring of Secretariat! Too sad to be true! Why did they give it to the slaughter house? It's a son of Secretariat, Great breeding, and worth a lot! I don't even know what to say about this story some of it seems likely to happen in the real world and then some of it sounds like a 3 year old going to Mars of something. And to me if its a baby of the Great Secretariat then why would you slaughter it to me it would be a prize to have a horse like that even if it can't race. He could not have raced against Sham like the story says. Sham's last race was the 1973 Belmont. I've also read the book the Secretariat Factor which chronicles all of Secretariat's first crop of foals, 28 total, there was no foal named Dance Away. The details are not facts so this is just a "story". I don't think this is a true story. 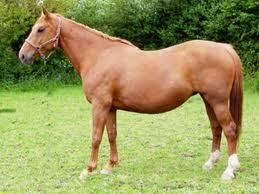 Plus the pic looks like a pregnant mare to me. This is very sad I don't like to hear sad stories... Is this even true?